For two years, Dutch copywriter Mark van der Heijden went on great-white shark dives in South Africa and camped out on ice sheets in Antarctica, trading his creative work at 32 companies in 27 countries for a chance to travel the globe as "the Backpacker Intern." After returning home to Amsterdam this year, van der Heijden decided he wanted to share the wealth. "The [Antarctica] experience was the best adventure I could ever imagine," he said. "I was out in nature with no Wi-Fi among all of these whales and leopard seals, sleeping on the ice with this amazing blanket of stars above me and penguins standing in front of me. I wanted to give other people a chance to have the same experiences I did." 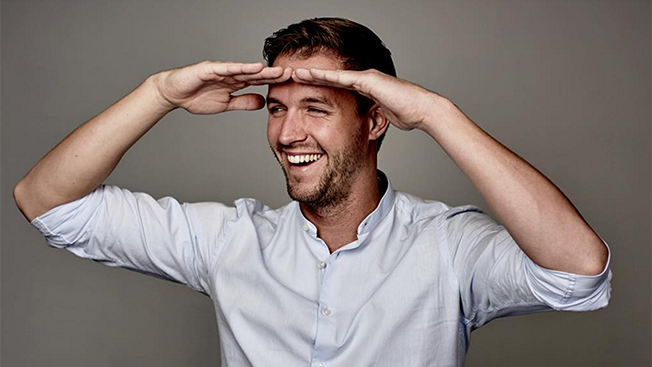 Adventurous creatives can now use their skills as a ticket to travel the world through Wanderbrief, a new company van der Heijden launched today with former Havas Boondoggle strategy director Valentijn van Santvoort. By submitting their portfolios and CVs on the Wanderbrief website, copywriters, designers and developers are considered for two- to four-week marketing and advertising projects for which they're compensated with airfare, accommodations and spending money to explore. Agencies, brands and NGOs also can submit projects on the site. Van der Heijden and van Santvoort match prospective candidates with projects based on candidates' experience and enthusiasm. So far, creatives can only sign up for projects in Amsterdam, but there are plans to expand the effort to other cities, starting with London, after the website's official launch. Wanderbrief's partners include staffing agency D&AD, which offers talent from its candidate pool; and Vodafone and Amnesty International, which are offering marketing and advertising projects for potential candidates in Amsterdam. Since announcing Wanderbrief at Cannes Lions in June, van der Heijden received 2,000 emails from interested participants in 45 countries. "I got a lot of messages from all over the world from people who wanted to follow in my footsteps," he said. "Our bigger mission is to refresh the perspectives of creative and help companies meet their business objectives through creativity while fostering global citizenship and cultural exchange. Working abroad gives you a fresh perspective, businesswise. Working in different markets helps you understand different cultures. We're making the world a smaller place through creativity."